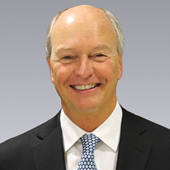 Prior to joining Colliers, Joe was Senior Vice President at Jones Lang LaSalle, where he led the company’s regional higher education, healthcare and public sector consulting and brokerage practices. Before joining Jones Lang LaSalle, Joe was Senior Vice President and Co-Managing Principal of The Staubach Company in Philadelphia. Projects of note include headquarters for General Instrument (Motorola Broadband), NFL Films, Tyco International, AmeriHealth New Jersey, Parker McCay and regional offices for AIG, U.S. EPA and U.S. GSA. Joe has managed the acquisition, leasing, and development of more than 4,000,000 SF of office space on behalf of corporate and institutional clients and has developed strategic real estate plans for Air Products, OKI Data Americas, Organization of American States, Kutztown University, Camden County College, Bancroft NeuroHealth, tAmerican Revolution Center and The Wistar Institute.